In Fijian Waidroka means fresh spring water referring to the creek which runs through the rain-forest and Waidroka Bay straight into the Pacific Ocean. 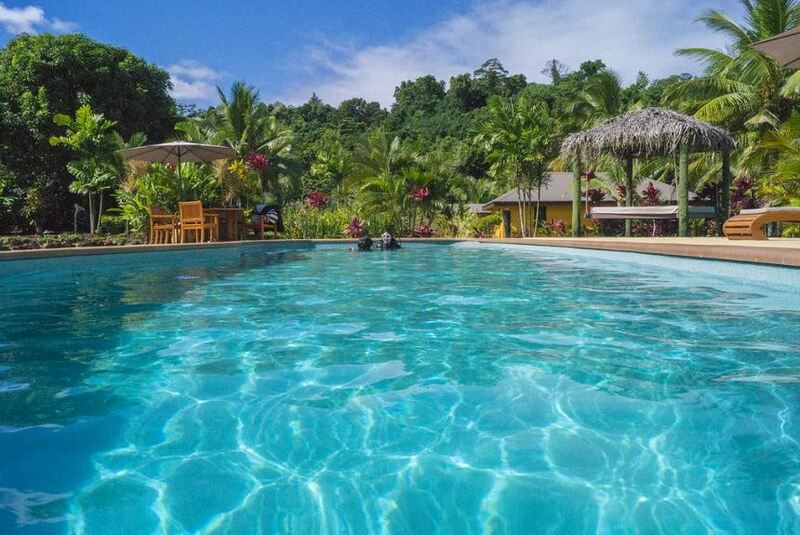 Waidroka Bay Resort offers the ultimate ‘Fijian Adventure’ combining everything the Pacific Ocean has to offer with a stunning and tranquil rain-forest setting for complete relaxation and is conveniently located only 2 hours from the Nadi airport right on the main island, Viti Levu. The perfect combination of pure relaxation and exhilarating action, Waidroka Bay Resort offers mind-blowing Surfing at Frigates Passage, world class Scuba Diving at the Beqa Lagoon, Frigates Walls & Passage and the famous Beqa Shark Dive, Fishing, Snorkeling, Trekking and all that is expected of a Fijian oceanfront adventurer paradise.